When health and care staff work as a team, it can be life-changing for people who use these services – and for their families too. 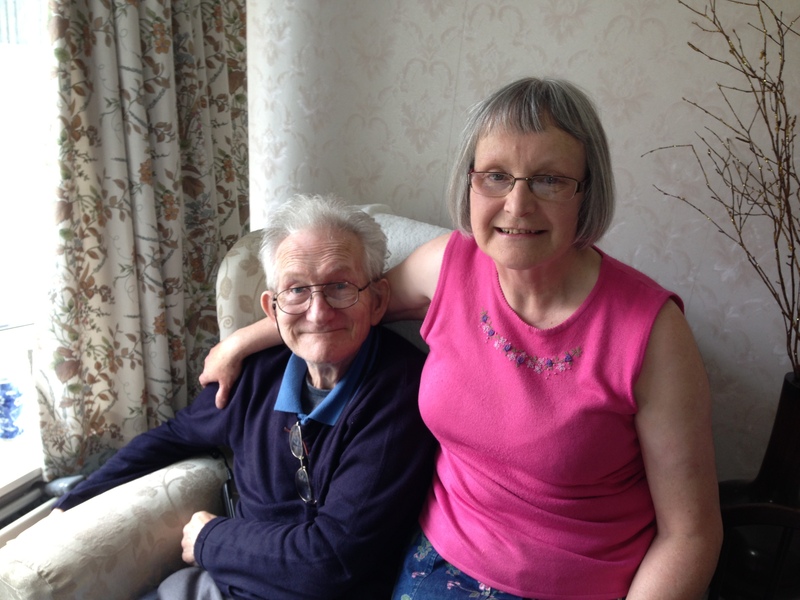 For Chris, 74, of Alwoodley – who has Alzheimer’s – a more joined-up approach from professionals has meant that he can take part in activities he enjoys through the week, while his wife Alison is able to balance her work with her caring role. The couple was supported by one of 12 integrated neighbourhood care teams set up across Leeds, made up of both health and social care workers. It’s a setup that’s helping staff share knowledge and expertise more quickly than in the past, leading to a better experience for people like Chris and Alison. Chris is a retired museum technician. His wife Alison is his main carer, and also works part-time at a local medical centre. Along with his Alzheimer’s, Chris also has a range of related medical conditions. He is unable to stand up without help, and can no longer safely be left on his own. Last year, Chris and Alison were put in touch with Anne Williams, a community matron based at their local integrated neighbourhood care team. Anne visited the couple along with an interface geriatrician – a community-based consultant who works with older people – to assess Chris’s risk of falling. A further joint visit followed, with an occupational therapist and physiotherapist – and Anne worked with a social worker colleague to look at what further support might help the couple. ‘Anne and the social worker, Janet, put their heads together and sorted out some day support for Chris that fitted in with my part-time work and caring responsibilities,’ says Alison. ‘I know Anne works in the same office as Janet, so it was made really easy because they could discuss it and work something out together. Would you like to know more about how health and social care are working more closely together in Leeds? Speak to your GP or another health or social care professional, email healthandsocialcare@leeds.gov.uk or visit www.leeds.gov.uk/transform.